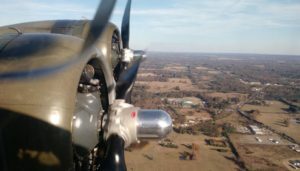 Our EAA Chapter, in conjunction with theConway EAA’rs, co-hosted aweekend tour stop of EAA’s Aluminum Overcast at Cantrell Field in Conway on November 10-12. The B-17 in Conway was a huge success. They flew 14 passenger flights with over 135 people. 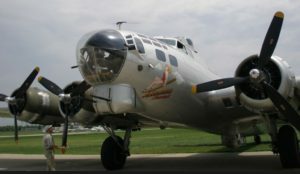 We sold or gave to veterans and kids hundreds of passes for tours of the aircraft. The airport was mobbed all weekend, especially for the ceremony for veterans on Saturday afternoon.. A special thanks to the Cantrells for their incredible job and hard work organizing the event and to the Conway chamber of commerce for their generous support to the crew and volunteers. It was amazing all weekend and an honor to have been there.